It was a caring community of passionate leaders from around the world that brought A Billion Lives (our last movie) to over 4,000,000 people. To make an even bigger impact this time, we’ll need your help. We’ll reach out to the press all week and we’d like them to see what an epic community we have behind this. To help fuel the energy and make this the #1 most popular “Film & Video” Kickstarter project, please quickly pick an initial level (they start at $5) so you can get updates and encourage the new community. If we don’t reach the goal, you won’t get charged. Also, you can upgrade later if you decide. Please note some reward levels only have limited quantities. We’re excited to announce that You Don’t Know Nicotine is fiscally sponsored by The Film Collaborative, a California 501(c)3 organization based in Los Angeles. This means your donations to this project through the Kickstarter campaign are tax-deductible in the U.S. & countries with reciprocal tax laws. Regardless of where you live, we would be honored to have your help as we make a powerful film for a global audience. Nicotine is a very complicated molecule. Historically, it was mainly found in harmful cigarette smoke. In recent years, the use of clean nicotine without smoke has been growing due to changes in technology. Many are using nicotine to quit smoking. Despite a historic drop in teen smoking rates, nicotine use by young people is on the rise. Many do not understand the actual risks. With all the media hype surrounding nicotine, it’s time to end the harmful misinformation and educate the public on what nicotine is, isn’t, and what should be done with it. We will chase down as many experts (willing & unwilling) as our budget allows. It’s time to get answers from all sides of this debate. The team is fired up to get going on this. All it takes is $50,000 to secure the base. We’ll use these initial Kickstarter funds to pay for necessary travel for interviews, crew time, and equipment needed to get started. Stretching beyond this goal will lead to substantial benefits for the strength and ability of the film to break through to the general public. We hope to see it get picked up by broadcast networks like A Billion Lives did, as well as major film distribution channels like Netflix/Amazon/Hulu/HBO/etc. In order to maximize it’s potential, we’ll use additional funds to create an even better movie and drive additional publicity for our call to truth. We’ll keep adding stretch goals until we’re the #1 most funded documentary project on Kickstarter and we’re able to market this film widely to the public like other blockbuster documentaries. Let us know if you have any ideas for stretch goal perks you’d like to see. We’ll add them as support grows! We plan to get it out to the public as quickly, intelligently, and widely as possible. To the right (or tab above on mobile), we have a variety of special rewards for our backers. These include limited edition shirts, special coffee mugs, movie premiere experiences, and much more. Just like our filmmaking, we plan to make sure each reward is carried out with craft and awesomeness. Below are several concept designs of what the final coffee mug and shirt may look like. Are you a designer? We’ll be taking design submissions and feedback during the campaign. After you make your pledge, check out our Facebook page to join the discussion. Our team has won awards on four continents and shown movies in the theaters of more than ten different countries. This will be our third feature-length movie project. Follow behind the scenes with the Third Line Films team (in association with Attention Era) on Facebook & Twitter. For all levels over $250, please provide your mailing address. In accordance with IRS regulations, The Film Collaborative (TFC) issues tax receipts for all donations of $250 and over. Kickstarter and credit card processing fees are deducted before TFC receives the funds. TFC issues tax receipts on the amount they receive. Thanks again for your support! We’re excited for this new movie! We think the time for this documentary is now, and we are committed to making the most impactful film we can, as quickly as possible. That said, documentary filmmaking is an art, not an exact science, and there could be some bumps along the way. If production obstacles cause delays, that could mean that we get the film out to you, our backers, later than anticipated. But, based on our experience creating 900+ productions and the strong team we have put together, we are confident that we can make a great film by the end of 2019. The biggest factor in hitting our goals will be funding. 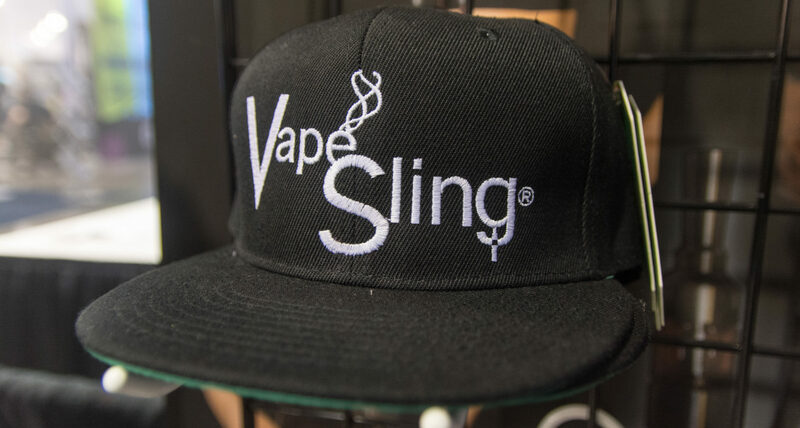 This article is shared by VapeSling LLC. Please help fight for your #Right2Vape. Please Visit us on IG, Pinterest or Twitter (all SM accounts named “VapeSling”).